Neutral A listing of party games for kids, teens, and adults for all kinds of events. Games are added weekly. Neutral Specialize in Darts, dart boards, dart cabinets. 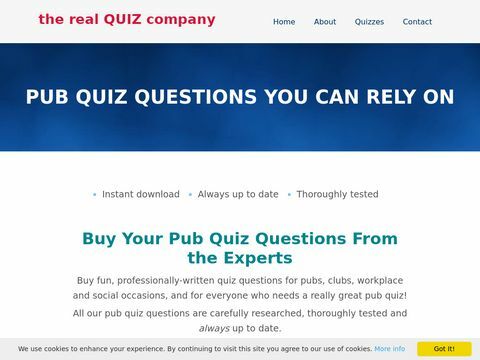 Neutral Pub Quiz source of FUN Pub Quiz rounds, Dingbats, Picture Rounds, Brain Teasers, Speed rounds, Family Fortunes and free quiz questions.